Leigh Electrical are at the forefront of domestic Smart Home upgrades and installations in the Southend and wider Essex area. 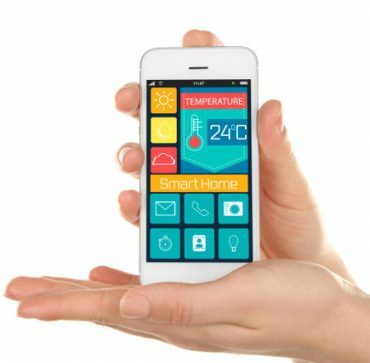 Smart Homes are rapidly becoming more popular across the UK as new technology enables virtually every facet of your homes electrical systems to be controlled remotely from the owners phone. These systems can be fitted to incorporate every aspect of your connectable electrical’s or merely just a specific feature that you would like to be able to control remotely. Lighting is a common feature that home owners wish to be able to control remotely and utilising GPS and an app through your phone, you can have your lighting set to turn on as you approach your front door, without any interaction at all. Systems can also be installed which, for instance, tie together security cameras, smoke and CO2 alarms, heating controls, media, kitchen appliances, gates, blinds and lighting. You can however simply opt for whatever selection of these you feel would be most valuable to yourselves. For more information and to book a completely free no obligation site survey, simply call us today on 01702 873350. Leigh Electrical have significant experience of fitting Nest & Lightwave Smart Home systems for our customers. We find both these systems to be reliable and great value for money. We can however work with whatever Smart Home system you wish to have installed, simply call us on 01702 873350 to discuss your options. Why Use Leigh Electrical For Smart Home Installations? Leigh Electrical have been established for over 50 years and have been installing and upgrading homes to Smart Homes since the technology became affordable and widespread. We operate 7 days a week, including evenings and nights, ensuring deadlines are always met and the work can be completed at times convenient for yourselves. We hold full NICEIC Membership which means all of our electrical work is covered by the NICEIC Platinum Promise which is a guarantee for all NICEIC customers for their work for a full 5 years. Our attention to detail and finish is second to none, which is essential for any Smart Home upgrade projects. Please follow this link to see a recent Smart Home upgrade project undertaken by Leigh Electrical in Southend. Please view our extensive feedback we have received on Trust a Trader to verify the quality of the workmanship and value for money that Leigh Electrical provide. For more information regarding Smart Home upgrades & installations or to find out more about the other electrical services we offer, please call 01702 873350.